There is a lot of unpacking to do with that statement; let me begin by expressing my understanding of a couple of key items. Second, I understand that nobody is technically fatherless (although it is in the Bible--just saying). Spare me the platitudes about “you always have your Father in Heaven” blah, blah, blah… That’s not much of a consolation to a young boy wondering why other kids are baptized by their dads; a deacon trying to understand what it means to hold the priesthood; or a priest struggling--and ultimately losing--to fight the temptations of the world with no righteous example of priesthood leadership in the home. True: I can look back now and understand that Heavenly Father has always been there for me; but at the moment, I found it impossible to see an eternal perspective. Finally, with the term “fatherless,” I want you to understand that I do not mean to disparage or discount any of the fatherly influences I have received throughout my life. My grandfather had a very active hand in raising me--and as a youth, I always looked up to him as my primary father figure; much of my attitudes and opinions during my early life were directly inspired by him. I also had several close uncles whose impacts were keenly felt as well. The list includes countless older cousins, church leaders, school teachers, family friends, etc., etc., etc. But none of these men could have, should have, nor did lay claim to me as their direct responsibility. My eternal welfare did not rest on their successes or failures--the buck stopped right here. I thank each and every one of them for their guidance and counsel through the years; they have been immeasurably significant to me personally. I save a special place in this article for my [step] Dad--the man to whom I am sealed. He did not come into my life until halfway through my youth, and his influence has been felt mostly as an adult; this is due to reasons that I will not expound upon here. Just know that I love him and I am thankful for him--his stature among those whom I consider father figures is held with the highest regard. I have spent my adult life trying to determine how to be a Man, a Priesthood Holder, a Husband, and most recently a Father with only secondary--sometimes blatantly unrighteous--examples from which to draw experience. My intention here is to share the thoughts and feelings I have endured as I have grown throughout my adult life, especially through fatherhood. Sometimes these will be gospel-related, and sometimes they will not. Sometimes they may be funny and sometimes they may wrench tears from my eyes. But isn't life like that for everyone? I hope telling my story can help some of you out there who are like me. 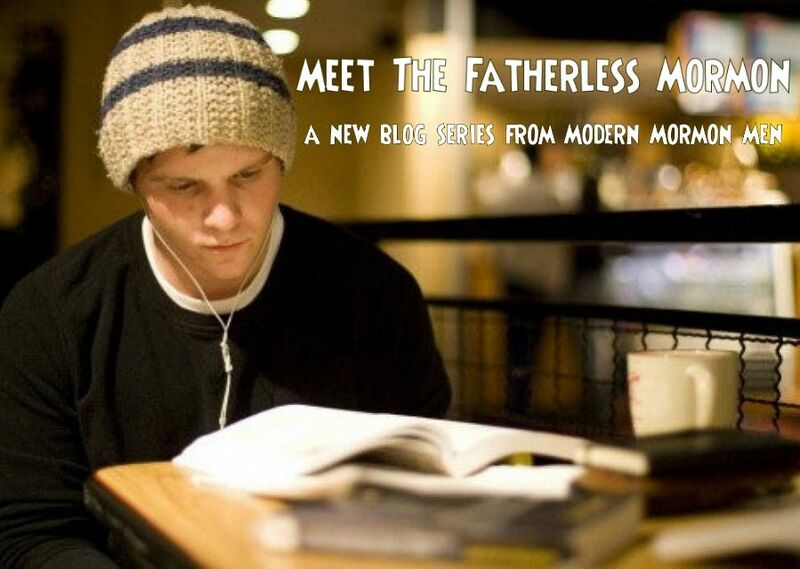 After all… I am more than just a Fatherless Mormon. This is the first in a series of posts from JAR. New post will go up every two weeks.